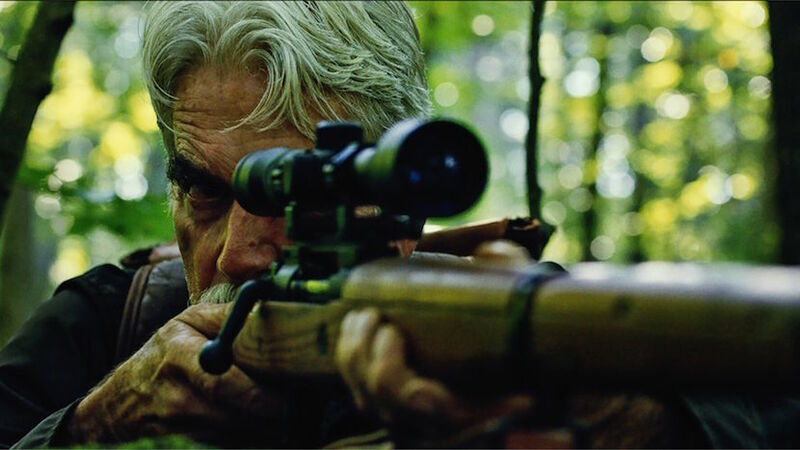 The great Sam Elliott (The Hero, A Star Is Born, The Big Lebowski, Ghost Rider) got another lead role in writer/director Robert D. Krzykowski’s debut feature length film, the wonderfully titled The Man Who Killed Hitler and Then The Bigfoot. Elliott plays the titular man who did not one, but two heroic actions that, to put it mildly, are hard to believe. 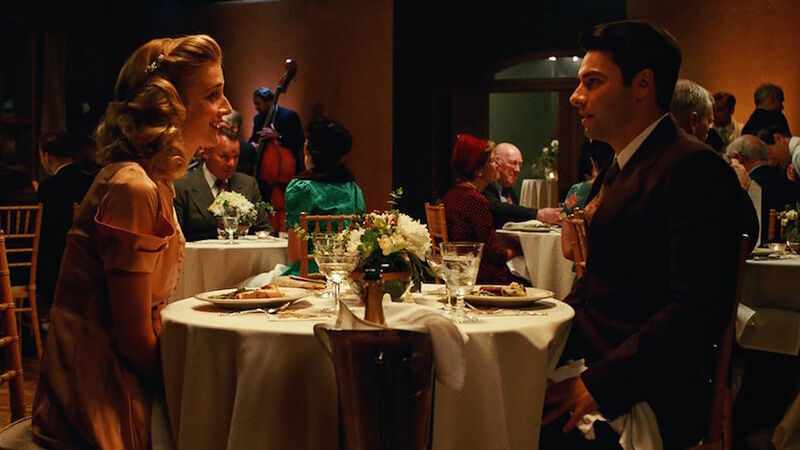 When he was young (Aidan Turner plays this version of the protagonist), Calvin Barr embarked on the impossible mission of killing Nazy Germany leader Adolf Hitler, something that continues to haunt him in his twilight years. In 1987, Barr can’t get over his painful past, which includes an unfulfilled love story, however the American and Canadian governments are ready to offer him a new mission, just as daring as the World War II one. ScreenAnarchy: The title of the film is so crazy that people might think this is something else of what it really is. I think, at the core, it's really a portrait of an old, lonely man who can’t come to terms with the past. How was the genesis of the project, what were the ideas that you wanted to explore, and also how to deal with the expectation that people might have from the title? Robert D. Krzykowski: At the time that I began writing the script, it was very much intended to be a pulp adventure. In the first 10 pages Hitler was killed in this big kind of Mission: Impossible espionage sequence. I started thinking about Hitler as a monster in real life, what if we juxtapose that against a mythic monster later in the hero’s life. I started thinking, the kind of perfect iconic monster for this guy to go off against with might be the Bigfoot. My wife, who was my girlfriend at the time, she and I experienced some personal losses and it started changing the shape of the movie. I started writing about an older person looking backwards and thinking about who we are, where we are going, how we treat one another, loss, regret, those themes helped the script forward. 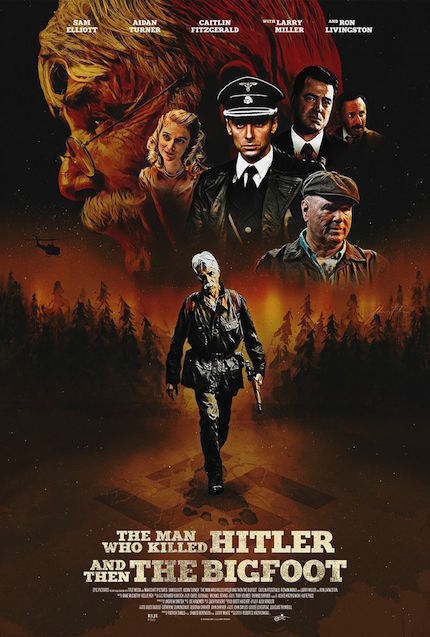 After the end of those 10 pages, that was the moment that I went back and put the title of The Man Who Killed Hitler and Then The Bigfoot on the front, and then wrote my way toward that title. Then by making the protagonist a war veteran, you touch themes like, what’s really a hero? And also how history might not be exactly as it is written in the books. Can you comment on these subjects? I was definitely thinking in the type of American hero that this guy represents as a certain mirror to a type of hero like Mr. Rogers and then his inherently descent, what if Mr. Rogers was forced into a life of surveillance and I think Calvin Barr is very much that type of person, war changed him, it affected him, it took all the things from him that he liked and made him happy, but he did it in the service of his country and in the service of others. When I was writing it, I was thinking a lot about Bernard Malamud’s The Natural, I was thinking about The Old Man and the Sea, and kind of this notion of magical realism, or a hero that’s up against something so gigantic that you’re really intimately studying how that person feels and why they are the person that they are. So at its core it’s a character study, but it’s pursing themes of PTSD, loss and regret and fear. Those things are still destroying him, and he pass to embrace some hope, so that he can overcome this. Those things are very simple: family and friends and connection, those are the things that he returns to at the end of the movie, and I hope that people find that hopeful. The film is also an impossible love story, in this case for the sacrifice that Sam’s character made in the war. How was to write this complex character who has so many emotions and also the theme of the family through his brother? Calvin is very tough, but there's a lot going on in his mind as well. I just tried to write a character that felt real to me and I really liked and admired this character, felt like the type of character I personally would look up to. I also thought that by dealing with his deepest fears and his insecurities and his fragilities might get the rest of us a little courage to revere those things in a character like this. Having it be also a love story felt important to me to reveal who this person is, and the type of person he would fall in love with [Caitlin FitzGerald plays Maxine] and the type of person she would look up to. I think then there’s another love story in the movie as well, between him and his brother (Larry Miller); these two brothers look up to different things in one another. Those two love stories felt really important to me. By the end of the movie, one of them is tragic and he still needs to confront some aspects of that, and the other one still has hope and is something that he can embrace. Finding the character and revealing him was very important in telling the story. It’s really the much smaller moments in our lives that make us who we are. In that sense, there are, like you said, these kind of MISSION: IMPOSSIBLE, man-on-a-mission sequences, but also smaller, more personal scenes, like the one at the restaurant with Calvin and Maxine, which is funny and lovable. How to combine these very different moments? I think if you look at a movie like Fargo, you have two very, very diverging tones in one movie. It’s a kidnapping, which is extremely brutal and scary, and there are moments in that movie that feel horrific, and that’s juxtapose against a small-time, decent husband and wife, who love each other very much, and their love is extremely simple. Movies like Fargo or Hal Ashby’s Being There or even The Last Detail, were kicking around in my head, they juxtapose these really wild elements against something much more meaningful. Thinking only in the missions sequences, first we have a period piece set in World War II, and then it’s a practical monster with the Bigfoot. How fun was to work with these elements of a period piece and also of a more horror and fantasy oriented cinema? Those elements were some of the most fun in the movie because we always knew that we were working our way towards these really wild ideas. If we had done our jobs with the more meditative subjects then we could have a lot of fun in the wall of fire, in Hitler’s castle, and the actual sequence with the Bigfoot. Having the Bigfoot be a kind of an old-school Universal movie monster felt like the right approach, it just felt a little closer to the type of thing you might see in 1987. It also allowed Sam to be there on set with Mark Steger, the performer playing the Bigfoot. We were hoping that all these tones come together in the end in a way that the audience would receive them. There was never any empirical evidence that this would all work, we were all trying something because we haven’t quite done it before. There was something really fun about that, and also something scary to show that to an audience, because you know you took a bunch of risks in the process. Talking now about changing history, offering a new version of what really happened to Hitler, what was the inspiration to do that? I wanted to have the character kill Hitler but it wouldn’t affect our timeline at all, our history books would still read just the way they read to us now. The puzzle was to figure out how can this hero go kill Hitler, no one ever knows he did it, and it doesn’t affect history. When he sits down at the dinner room table with Roy Livingston and Rizwan Manji’s characters, all of those things are explored, discussed and revealed, and it all makes sense within the context. Once I solved these puzzles, It felt like the movie would work; figuring out how to make the Bigfoot a threat even though I wanted the Bigfoot to be innocent and a completely pure creature that’s not hurting anyone or anything, how is it a threat leading to be killed? That took to the notion of a plague, and if Hitler was spreading a plague of ideals, then the Bigfoot would spread a literal plague. 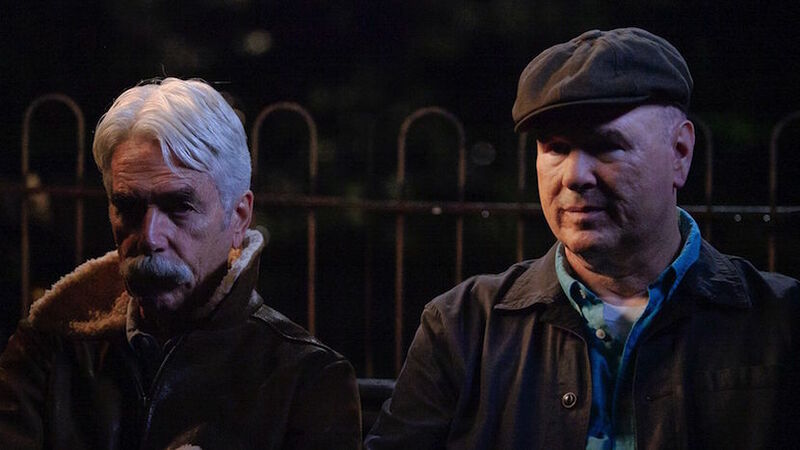 It seems that Sam Elliott is finally getting more recognition from the mainstream, he’s now an Oscar-nominated actor [for his performance in Bradley Cooper’s A STAR IS BORN], so for you how was the process to cast him and also to decide to give him a lead role, as he’s usually more of a character actor with smaller roles? I think that took the notion about Sam being an unsung hero. Sam is an extremely humble person, a very deep person and an incredible collaborator, and he agreed to do this movie because it said something about decency, something that he’s worried is fading in the world today. He felt “I can say something here with this movie” and he came on and did it. Working with him was one of the best things that's ever happened in my life, I’m so honored I got the opportunity to work with a person like that.